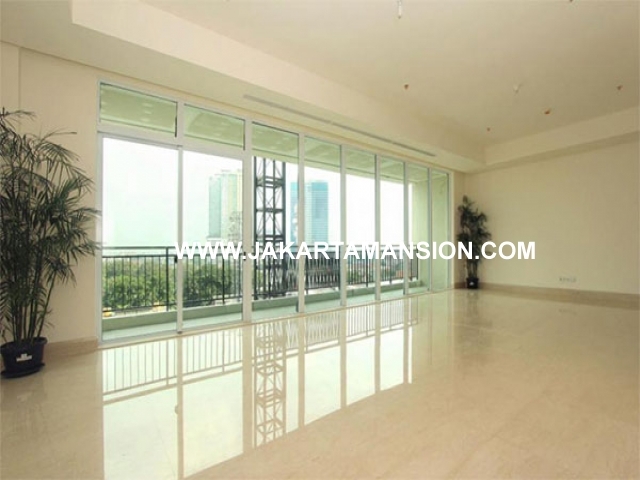 Size 389sqm, 4 bedrooms, 4 bathrooms, city view. Price IDR 22 Billions. Brand new and fully furnished Apartment with modern design interior. Pakubuwono Signature is a luxurious Apartment in a perfect strategic location close to Jakarta’s Central Business District, International Schools, a lot of shopping Mall and one stop entertain such as Plaza Senayan Mall, Senayan City Mall, Pondok Indah mall, Gandaria City Mall etc. Facilities: Private lift, out door swimming pool, children swimming pool, indoor heated swimming pool, jogging track, business room, library, clinic, computer room, Basketball court, Squash court, Table Tennis room, putting green, BBQ pit, indoor and outdoor children playground, mini-mart, laundry & dry cleaning, pharmacy, bakery, Cafe, hair salon, spa, jacuzzi and spa.